A look at Disney from inside the O.C. 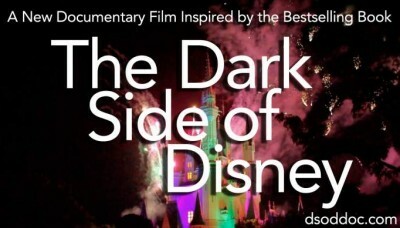 The Dark Side of Disney is a new unauthorized documentary film inspired by the bestselling book, which has become known as the “anarchist cookbook of Disney travel guides.” It will premiere at the Frida Cinema in Santa Ana, California on Sunday August 16th at 4:30PM, coinciding with the D23 Expo, the world’s largest Disney Convention. Disney wants $200 million of taxpayer money! Convention Center Expansion a disaster for Anaheim's future. What happened when Johnny Depp stayed at the Pirates of the Caribbean suite?